New hooks into Google Photos expands cloud-based interoperability. 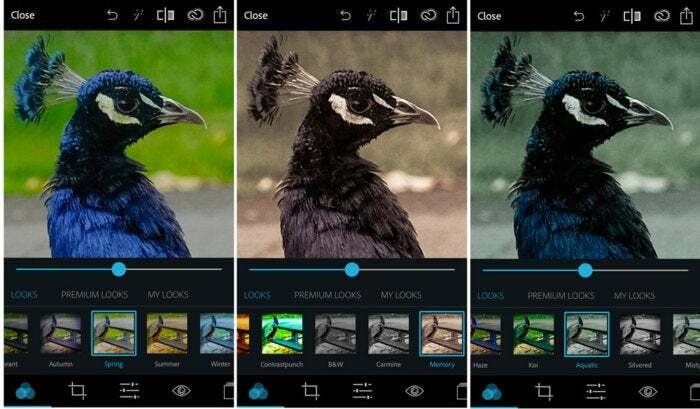 A new version of Adobe’s Photoshop Express, the free universal photo editor for iPhone and iPad, looks fairly familiar at first glance, but that’s because its most profound update is casually integrated into the interface. 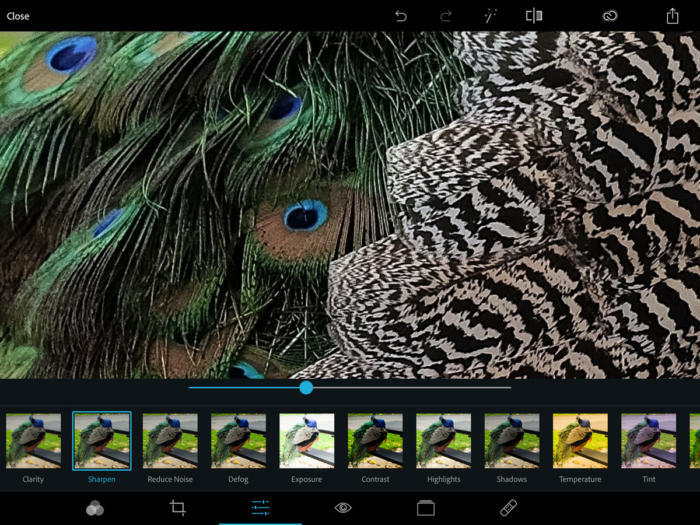 With Photoshop Express 5, users now get their photo editor and special effects filters alongside a brand new module for creating expert collages. In addition to the app’s access to Creative Cloud for subscription holders and integration with your Camera Roll, Facebook, and Dropbox, you now can connect seamlessly with Google Photos to easily fetch and fix images from that backup utility. Extensive photo fixes are available. 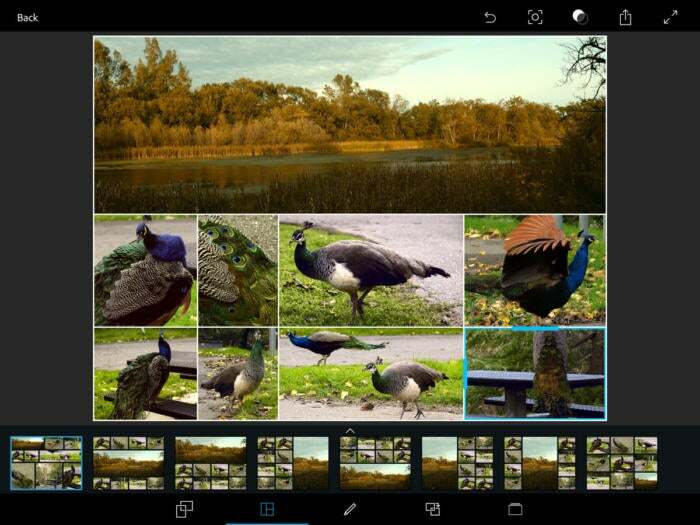 The main attraction with version 5 is the new collage feature. With its intelligent layout and automated style transfer options, the collage feature is an incredibly deep and flexible addition to the app. While integrated, the collage feature exists as a separate module so it’s easy to use without distractions. Not only can you automatically choose and preview a variety of layouts incorporating up to nine photos, you also can choose from a wide variety of preset aspect ratios like 3x4, square, 6x4, and numerous other sizes and orientations. It even offers specialty crops for Facebook covers and mobile devices. Switch through layouts with a tap until you find the one that works for your image set. Choose images, tap through layouts, and preview. You can edit each photo individually while adjusting the size of each cell with your finger and use pinch and zoom gestures to change the size, crop, and zoom of component photos. A tap and slide lets you switch images between the different cells. You can even zoom in and out of the collage layout for a better preview while editing. An overlay of borders and colors adds a neat pro touch to the final image. Use the Style Transfer option to give your collage a uniform look. An especially intriguing aspect of the collage module features an automatic Style Transfer that imparts a uniform look and feel to the photo grouping based on a completely different image. After you assemble the collage, you can try out different styles, each of which gives the composition a dominant scheme. Some styles are built into the app, but others are derived from your collage’s component photos. To use the this option—as well as integrate edits with Adobe’s mobile Photoshop Mix, Photoshop Fix, and some features of Lightroom for Mobile—you must log in with a free Adobe ID. If you have a Creative Cloud subscription, just sign in and all those functions are immediately available. Photoshop Looks are adjustable, and work like filters in other apps. As with earlier versions of the app, editing functions let you crop, add filters, and otherwise fix an image and save it to a variety of social media like Instagram, Twitter, Flickr, or WhatsApp. Photoshop Express will work with some raw photo formats, but not every single one. This is in addition to Photoshop Express’ collection of elegant filter looks, edges, and frames. Put finishing touches on your edited photos. 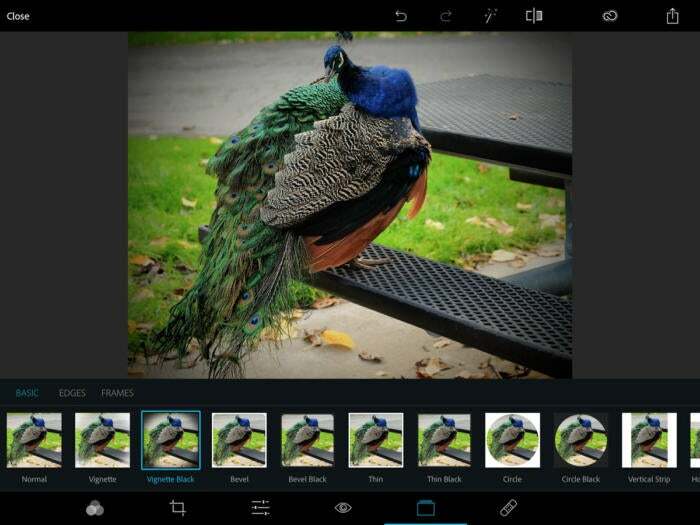 Previous versions of Photoshop Express made the mobile app interoperable with Adobe’s Creative Cloud so that enthusiast and pro photographers who subscribe to the $10 per month photography subscription plan can access any photos they have stored in their account for additional editing, syncing, and sharing. 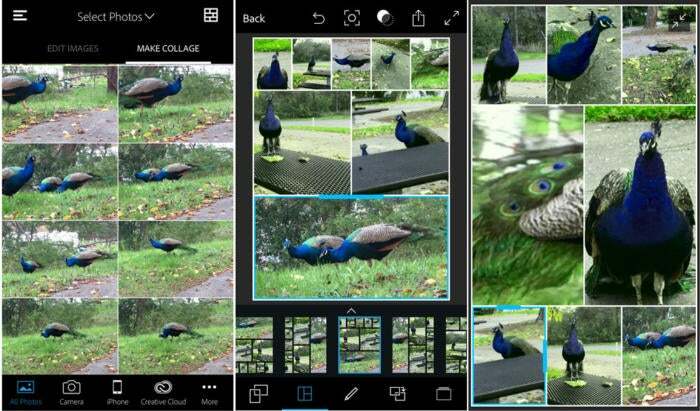 With Photoshop Express 5.0.1, Adobe has baked a whole new collage app into its popular mobile photo editor. Because the Make Collage feature is a separate mode from Edit Images, these two major components function well independently with crossover only when desired, thus keeping the app simple to use. Integrating the popular Google Photos service into its connections makes perfect sense and augments the app’s ease of use and relevance to a broad audience. 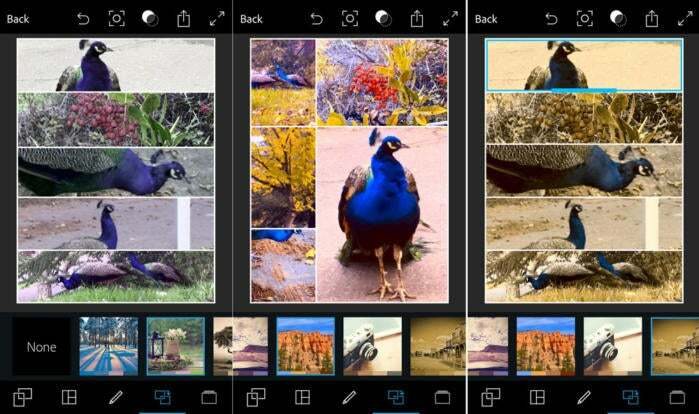 While you do not need an Adobe login (which is free) to use most of the features in Photoshop Express, if you have one, you can take advantage of advanced features and connections with other Adobe mobile photo apps.